Funding for a collaborative Southern Tasmania NRM project focused on protecting and conserving species was yesterday announced by Environment Minister Greg Hunt as part of Round 2 of the Australian Government’s Green Army projects. The project, run jointly between NRM South and Landcare Tasmania, will be delivered by Conservation Volunteers Australia and is one of the 14 Tasmanian projects (from 8 proponents) and from 352 in Australia. 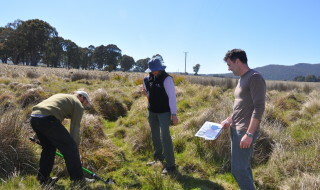 The NRM South/Landcare Tasmania project is focused on working with landholders and land managers, community volunteers and NRM professionals to enhance and accelerate community work that protects and conserves NRM assets within Southern Tasmania, and will build on existing projects of Landcare Tasmania and NRM South into the region. The project will be delivered in three parts (or three consecutive projects) – essentially running as three 20 week projects with supporting funds of $10,000 each to assist works on the ground. The first project is expected to kick off toward the end of the 2014-15 financial year. Conduct revegetation activities that will build on previously government invested projects, and create corridor linkages, habitat extension, and improve species diversity in degraded/cleared landscapes including river/coastal zones and farms. This project will be available in multiple project locations, including the Derwent Valley, Huon Valley, Kingborough, Hobart, Sorell, Tasman and Glamorgan Spring Bay (south) through NRM South’s existing NRM Facilitator network and will be available to broader community groups and land managers via an EOI process, to support direct community action on the ground, including providing much needed hands to successful grant recipients through NRM South or Landcare Tasmania funding programs. 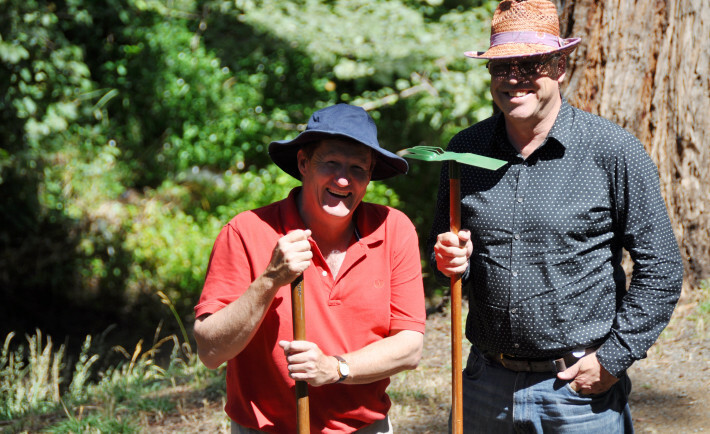 NRM South CEO Donald Coventry says that he and Landcare Tasmania CEO Mark Ritchie are delighted the two organisations are working jointly to deliver this important program. “NRM South and Landcare Tasmania are interested in the same positive outcomes for the Southern Tasmanian landscape and the work that our groups and land managers undertake illustrates the importance of this work from a conservation point of view but it also illustrates the value of the social connectivity of NRM work within the state. “The Green Army concept is about teams of Green Army workers learning new skills on the job and helping community groups and land managers to accelerate the success of community projects by sharing the load on the ground. 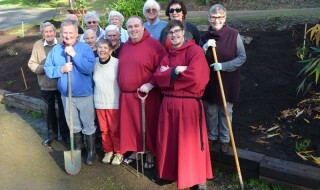 They essentially provide a team of ‘helping hands’ for projects which may include work such as planting or labour-intensive work such as fencing. It is expected that an expression of interest for community to apply to NRM South and Landcare Tasmania’s Green Army team will open within the next few months, with the first project commencing 1 June 2015 and the last project ending December 2016.